If you are in the area and can make it to this meeting next week, we would love to have you! LINCOLN – A public informational meeting will be held in Valentine on March 26 to discuss several planned improvements for fishing, boating and angler access in the area. The Nebraska Game and Parks Commission and U.S. Fish and Wildlife Service will host the meeting at the Niobrara Lodge, 803 E. U.S. Highway 20, from 7-9 p.m. A presentation on the projects will be followed by a question-and-answer session. Valentine National Wildlife Refuge – An Aquatic Habitat Project will begin this summer to address the passage of common carp through existing water control structures. 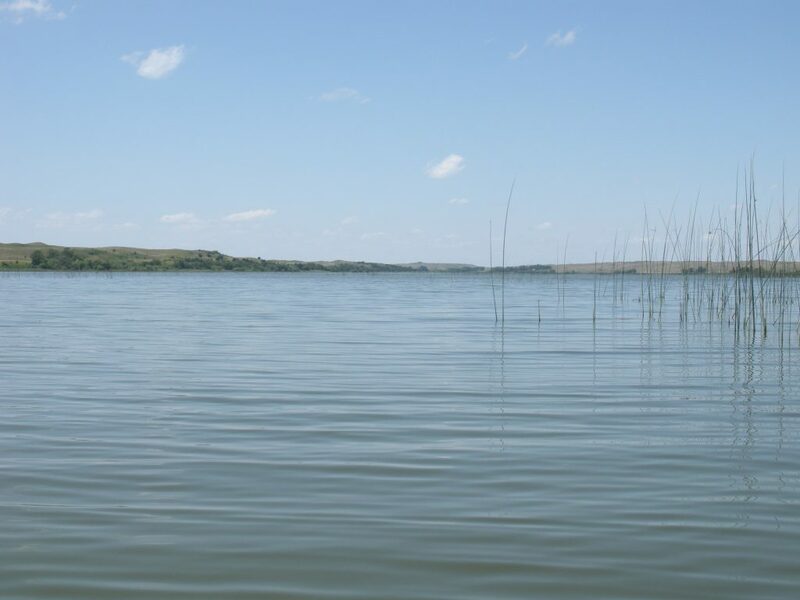 New designs for control structures below Watts, Hackberry, Dewey, Whitewater, Clear, Willow and Pelican lakes will limit upstream fish passage and help control high densities of carp in these lakes. West Long Lake will see earth fill added to the existing roadway berm. Cleaning out the channel between the lakes also will allow Fish and Wildlife Service personnel to manage the water and fish populations more effectively. Plans are underway for a rotenone fish renovation at Watts Lake the week of March 23. Merritt Reservoir – Construction of a new boat launch facility at the main landing area is planned for this summer and fall. A 16-foot-wide boat ramp will be poured adjacent to a protective rock breakwater. The design eventually will allow launching most years into August. A second breakwater may be built near the Willow Cove area, and it would provide wave attenuation, fish habitat benefits and access to deeper water for bank anglers. Rat and Beaver Lakes – An update will be given on the recent completion of a fish renovation, installation of water control structures with carp barriers and fish stockings. Big Alkali Lake – The rock breakwater near the boat ramp needs repair, and excavation will be done to improve boat launching. Call Zac Brashears at 402-376-8080 or Mark Porath at 402-471-5583 for more information.